Join us for a week long adventure into the fantasy world of art. Painting and printmaking will be explored and students will discover the essentials in creating art at the amazing and very popular Orange County Center for Contemporary Art. Sign up for one or two weekly sessions. Students will also learn gallery etiquette as they tour the Orange County Center for Contemporary Art. 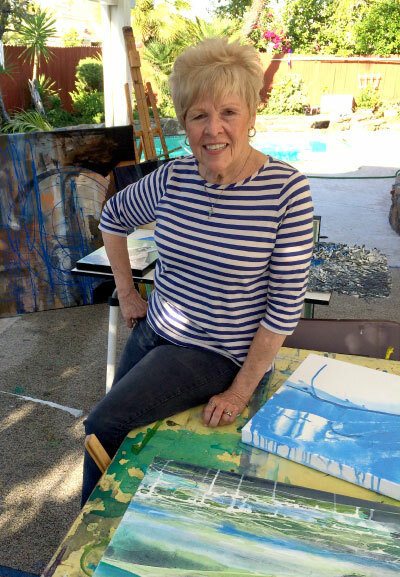 Classes will be taught by artist, OCCCA member and instructor Robin Repp and Evalynn J. Alu. Evalynn J. Alu was born and raised in Los Angeles. She received her degree in art at California State University, Fullerton in 1982. Having gone through a long representational period she gradually discovered a need and fascination with objective abstract form mostly derived from the universal forces that are forever present. Experimentation with her pallet as well as with her application soon became her focal point. Gradually layering paint using many techniques associated with watercolor and oil painting allowed Evalynn to create her feelings and moods present at the time. Experimentation and very seldom using a brush led her to achieve rewarding results. Her hope is that her work will allow viewers to discover for themselves what their own mood or lifestyle pulls from each piece.